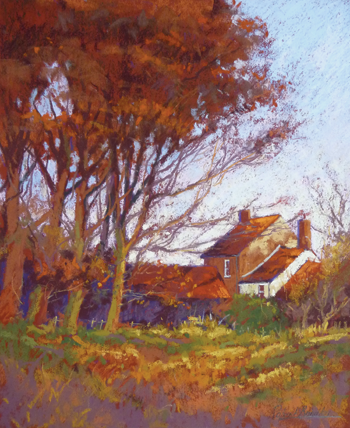 I've added a new Step by Step Pastel demonstration to my site. The painting is of one of my favourite subjects, The Hermitage close to my home. Using Pastels for this Autumnal scene helped to depict the rich colours we see at this time of the year. Beautiful! I'm a landscape oil painter ( retired illustrator) so I enjoyed the demo page very much. Aaahhhhh……was what I said! Thank you. New Look Website - Coming Soon!